Lobelia, Alyssum and Cineraria. As one of the most fragrant annuals you can grow, find locations close to outdoor activity areas for heliotrope. Upright nicotiana makes an excellent companion plant with strong evening fragrance. Heliotrope does not do well in very hot, humid weather. It grows best in areas with cool nights. 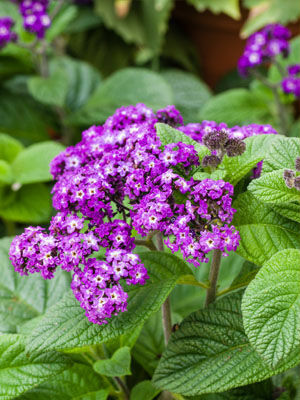 Warning: Heliotrope is poisonous to pets and grazing animals. Grow heliotrope only in hanging baskets if you have curious pets.